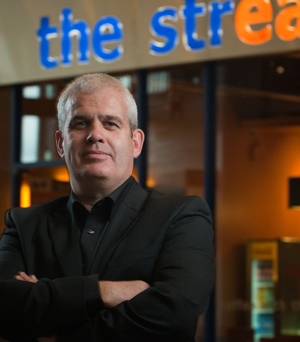 The Streat, a café chain franchise, has predicted its growth in Ireland will create in excess of 100 jobs in the Munster area over the next three years. O’Toole, who lives in Charleville and recently returned from England where he spent almost 20 years as a Retail Director for Specsavers, is looking to develop The Streat café brand in the Munster region. He is actively seeking people who are passionate about owning and running their own business. O’Toole said: “Now is a good time to start a business that has a proven track record as it is now possible to negotiate rents at reasonable rates and the cost of renovating and fitting out a café business is now greatly reduced in comparison to three years ago. With an extensive knowledge of the franchise sector, O’Toole was attracted to The Streat because of its proven track record in Northern Ireland and the fact that three very successful outlets already exist in Dublin. Another outlet in Portlaoise recently celebrated its first successful year, showing continued growth in difficult economic conditions. The Streat franchising limited is owned by Henderson Foodservice, which is part of the Henderson Group. The group has extensive expertise in the franchise business through its ownership of the Master License for the Spar and Vivo brands in Northern Ireland. “Henderson is adding value to The Streat through its buying power and foodservice expertise,” added O’Toole. The Streat has won numerous awards and accreditations and is the winner of the Franchise of the Year 2010 award.